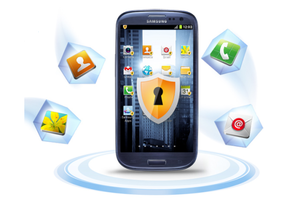 Samsung has made the second version of its Knox data and app security platform available worldwide, but only the new Galaxy S5 can take advantage of the improvements it offers for now. The popularity of Samsung’s smartphones has opened the door to the enterprise thanks to BYOD (bring-your-own-device) projects, but becoming enterprise-ready and earning the trust of IT departments is a long journey for the company. The Knox platform uses a security-enhanced version of Android, and creates an isolated “container” that separates work data and apps from personal data. Knox 2.0 is currently pre-installed on the Galaxy S5, and more devices will receive it via OS upgrades in the coming months, the company said without offering any details. To use Knox, IT departments first have to activate the functionality. After the long-delayed and underwhelming rollout of Knox 1.0, Samsung still has to prove that it can release high-quality products in a timely manner. An important part of that work is to quickly expand the number of compatible devices. Some of the new features in the upgraded version are a dedicated app store called Marketplace, cloud-based management, and certificate management functionality that can turn a smartphone into a smartcard. The platform is also compatible with third party containers, such as Good’s secure container, Fixmo’s SafeZone, and MobileIron’s AppConnect, which are getting the same level of hardware-based protection as Samsung’s own container. 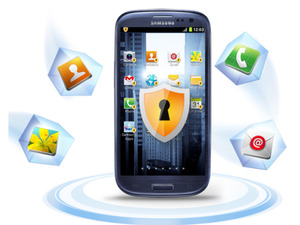 The goal is to give IT departments more choice when they implement or augment their BYOD programs, Samsung said. To separate personal and professional usage on a BYOD smartphone, a new billing feature lets carriers calculate the costs for personal and professional apps, according to Samsung. Knox 2.0 has been integrated with the Galaxy S5’s fingerprint scanner, as well. But with a group of German researchers tricking it into accepting a mold of a fingerprint instead of a real finger, enterprises have to think carefully about how they use the scanner. Samsung has played down the risks, saying that the scenario used is widely regarded in the industry as posing no critical risk for general consumers. The cost of Knox 2.0 service will be $3.60 per user and month with discounts for larger volumes, the company said when it launched the upgrade at Mobile World Congress in February.